Software is disrupting every industry and today is the biggest differentiator! Your sick of hearing about how Netflix disrupted the media industry but ultimately this has been a wake up call for many organizations. We all know and love the traditional software development lifecycles where every couple of years we see a significant update (often difficult for end users to adapt… look what happened with the jump from Windows 7 to 8!). The general theme of any traditional enterprise software development works by collecting user feedback and feature requests, spend the next 1-2 years developing all of the features with all the bells whistles and then finally releasing it to the end user…. by which time the requirement has changed and the feature is no longer needed! As we move to the “new world” software is at the heart of every business. This “new world” is now more commonly being referred to as the “third platform” – another buzzword you will soon be sick of hearing but it is effectively comprised of mobile computing, cloud services, social networking and big data analytics. We can no longer wait 2 years, we need to be able to very rapidly respond to constantly evolving customer requirements and marketplace needs and in order to survive we need to bring new innovation to the market faster than ever before! As a result we are seeing a shift in the platforms and processes used to develop software, many are looking to PaaS offerings to help them develop new applications quicker and at greater scale. Platform as a service makes it easier to deploy, run and scale applications by providing an application development and hosting platform in the cloud. As we see this fundamental shift we are seeing new start-ups enter the market to support organizations make this transition. 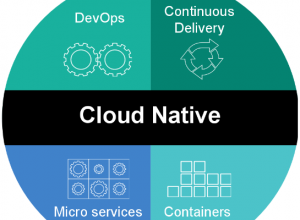 One notable new company is Pivotal (launched in April 2013) it brings together EMC’s Greenplum, agile development (Pivotal Labs) & VMWare’s cloud services and application framework. Pivotal offers robust data analytics, cloud independence, and the tools and skills to develop new applications in a rapid, iterative fashion. Pivotal is a challenger to Amazon AWS and it will exciting to see how this evolves! I agree! there’s been so much change in software in such a short period of time. I think the jump from Office 2010 to Office 365 is an example of things to come- a cloud subscription service that it’s updated automatically and far more often.